Tactical teams (SWAT) have been told to report for joint "training" exercises nationwide this evening after 8pm EDT. And we know what training means in this world. Action Jackson! The fifteen day bank schedule starts also after business ends Thursday. Coincidence? Nope. Oh the USD is ending Friday in the banks and Saturday on the master sovereign ledger. Hilarious. Did you know Donald Trump is President? No joke. And 66 million people voted for him. Sad joke. 65 million of those voters believe everything is gonna remain the same next week. The other 1 million just like Trump's hair. Thank heavens we have Wells Fargo and myopic internet gurus to guard our wealth. It's all too much. 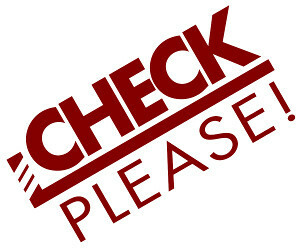 Check please! Our elected leaders are frauds. Our corporate government is on life support. Our currency has defaulted. Our infrastructure is crumbling. Our President is orange. And then there's New Orleans 9th ward, I mean Puerto Rico. Which after two category five hurricanes devastate 3.6 million American citizens the US Military is held back intentionally to additional and create untold suffering. There's no more time for the American cabal players to play. Arrest, death or surrender and then walk away are their choices. This weekend ends their timeline. And begins ours! Yippeeee! The off site redemption centers will be able to process all privates before Tuesday 8am--per the bank memo. Monday is a travel day for bank personnel heading back to their home bases. So we are in a crazy good window starting at 9pm EDT tonight going through the weekend. Enjoy that Boomer Boost Infomercial tonight. Oh, and don't forget to try the barley 'cause Big Daddy Cane needs a Harley. Meanwhile hundreds upon hundreds are subscribing daily to Human Angel Services (HAS) in order to get into line for future humanitarian project fundings and personal debt relief. No deceitful health and wellness products sold here.